This benchmark area contains face image ISO compliance verification benchmarks. Algorithms submitted to these benchmarks are required to check the compliance of face images to ISO standard. FICV-TEST: A simple dataset useful to test algorithm compliancy with the testing protocol (results obtained on this benchmark are only visible in the participant private area and cannot be published). FICV-1.0: A large dataset of high-resolution face images related to all the requirements specified in Table I. This benchmark is described in detail in . Information about reproducing the FICV-TEST dataset are available in the download page. The following sections report the list of requirements, the testing protocol and the performance indicators common to all benchmarks in this area. Photographic and pose-specific tests: the face must be clearly visible and recognizable; this requirement implies several constraints that generate most of the uncertainties in the interpretation of the ISO standard. A precise formalization is here proposed to limit as much as possible the ambiguity (see Fig. 1). Fig. 1 – An example of non-compliant image for the requirements 2..24 listed in Table I: the labels indicate the number of the related requirement. The images are here cropped and zoomed to better show the details of the non-compliant requirements. the rectangular region of size W×H (with W=4·EDist and H=W·4/3), determined so that the eyes are horizontally aligned and their center is in position CE=(W·1/2,W·3/5), is totally enclosed in the original image (see Fig. 2). Fig. 2 – Geometric characteristics of the token image format. 1 The eye center points are defined to be the horizontal and vertical midpoints of the eye corners (see section 5.6.5 in ). 2 ±5 degrees for rotations in pitch and yaw, and ±8 degrees for rotation in roll (see section 7.2.2 in ). Each participant is required to submit, for each algorithm, one executable named Check.exe in the form of Win32 console applications. The executable will take the input from command-line arguments and will append the output to a text file. is the input face image pathname (e.g., c:\test\db1\image1.png). The supported image formats will be: .BMP, .JPG, .PNG. outputfile is the output text-file pathname (e.g., c:\test\db1\out.txt), where a log string (described in the following) must be appended. If the file does not exist, it must be created by the executable. ImageName is the image file name (e.g., image1.png). 1 if the image can be processed. 0 if the image cannot be processed and no more information is available. -1 if the image cannot be processed due to unsupported image size. -2 if the image cannot be processed due to unsupported image format. -3 if the image cannot be processed due to unuseful image content. LE_x is an integer value indicating the X coordinate (in pixels) of the left eye center4. LE_y is an integer value indicating the Y coordinate (in pixels) of the left eye center4. RE_x is an integer value indicating the X coordinate (in pixels) of the right eye center4. RE_y is an integer value indicating the Y coordinate (in pixels) of the right eye center4. ‘-‘ if the executable is not able to evaluate this requirement. ‘?’ if, usually, the executable is able to evaluate this requirement but it was not able to evaluate it on the current input image for an identified failure (e.g., the SDK is not able to evaluate the presence of red eyes since the eyes are closed). ‘!’ if, usually, the executable is able to evaluate this requirement but it was not able to evaluate it on the current input image for an unknown failure. Test_3 analogous to test 2 but related to test 3. Test_24 analogous to test 2 but related to test 24. C, C# and Matlab language skeletons for check.exe are available in the download page to reduce the participants implementation efforts. The executable has write permission only on the output file. All configuration files should be opened in read mode. 3 If the input image cannot be processed (i.e., RetVal≠1) the other fields must be empty. 4 The origin of the coordinate system shall be the upper left corner of the input image; the X and Y values start from 1 (and not from 0). Each check attempt that violates one of the above constraints results in a failure. The following time breaks are enforced between two consecutive submissions to the same benchmark by the same participant. where Cl/r and Ĉl/r are the ground truth and the positions returned by the algorithm, respectively. This measure is scale independent and therefore it permits to compare data sets characterized by different resolution. 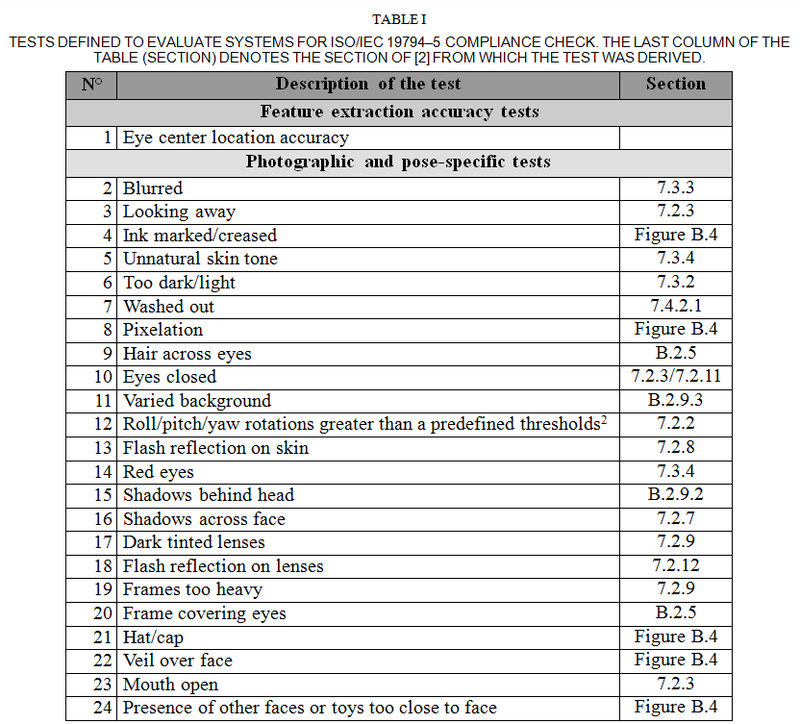 Moreover, for each Photographic and pose-specific test (see Table I) some accuracy indicators are calculated. In order to perform balanced tests, the dataset has been further divided into 23 subsets, each related to a specific requirement, containing the same number of compliant and non-compliant images. It is worth noting that each subset is related to a specific characteristic and that consequently only the algorithm response for that characteristic is considered for indicators calculation. Note that, according to the best practices, rejections are here implicitly included in the calculation of the performance indicators by assuming that a degree of compliance equal to 0 (for the given requirement) is returned in case of rejection. This choice is aimed at discouraging the algorithm to reject the most uncertain cases thus improving the performance over processed images. All publications and works that cite FICV Benchmark Area must reference . 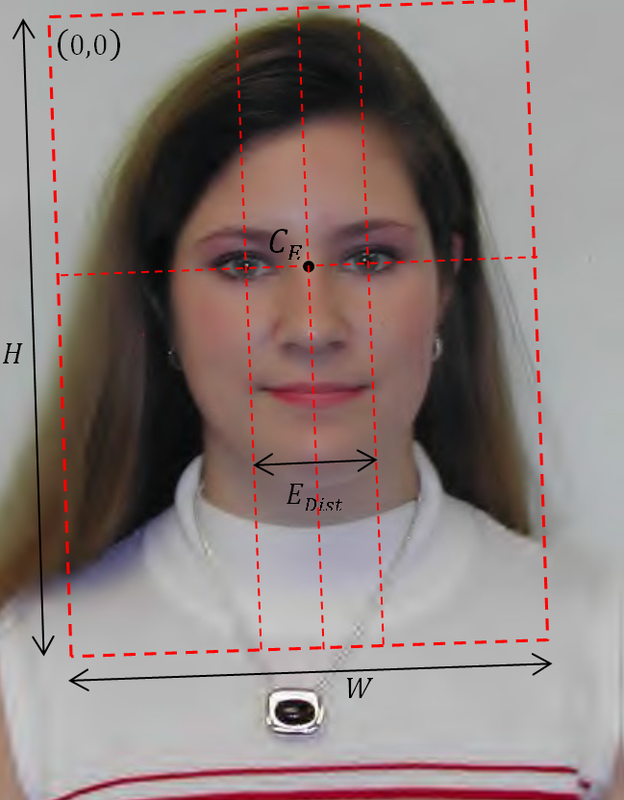 M. Ferrara, A. Franco, D. Maio and D. Maltoni, "Face Image Conformance to ISO/ICAO standards in Machine Readable Travel Documents", IEEE Transactions on Information Forensics and Security, vol.7, no.4, pp.1204-1213, August 2012. 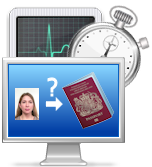 ISO/IEC 19794-5, Information technology - Biometric data interchange formats - Part 5: Face image data, 2011. 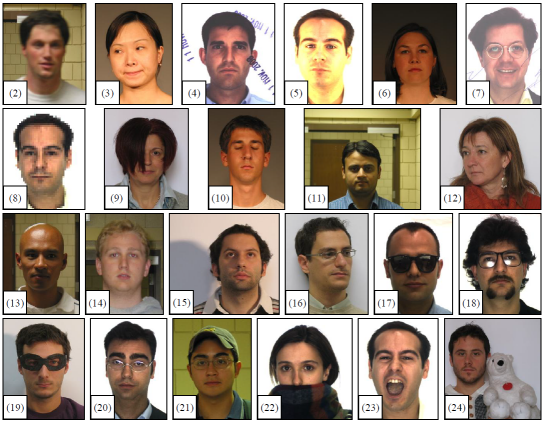 O. Jesorsky, K. J. Kirchberg, and R. W. Frischholz, "Robust face detection using the hausdorff distance", Lecture Notes in Computer Science 2091, pp.90-95, 2001.